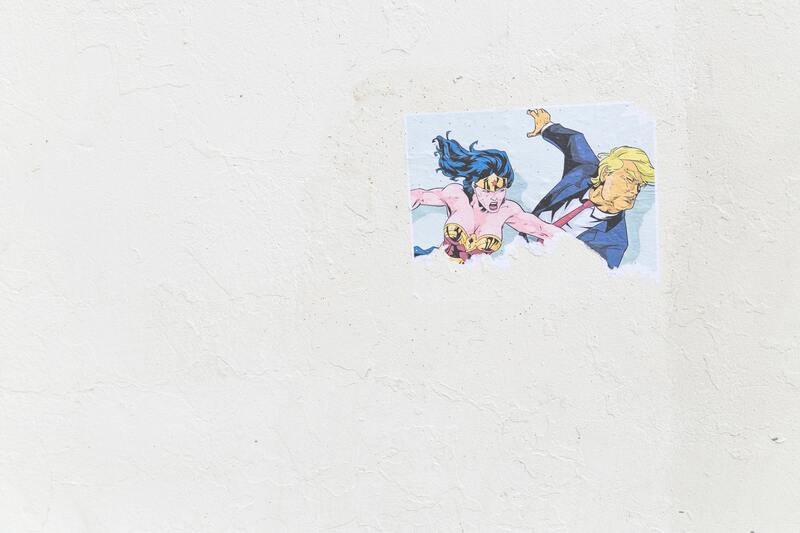 Last week, Donald Trump’s visit to the UK was marked by nationwide groups of protesters taking aim at his presence, his policy, and his personality. 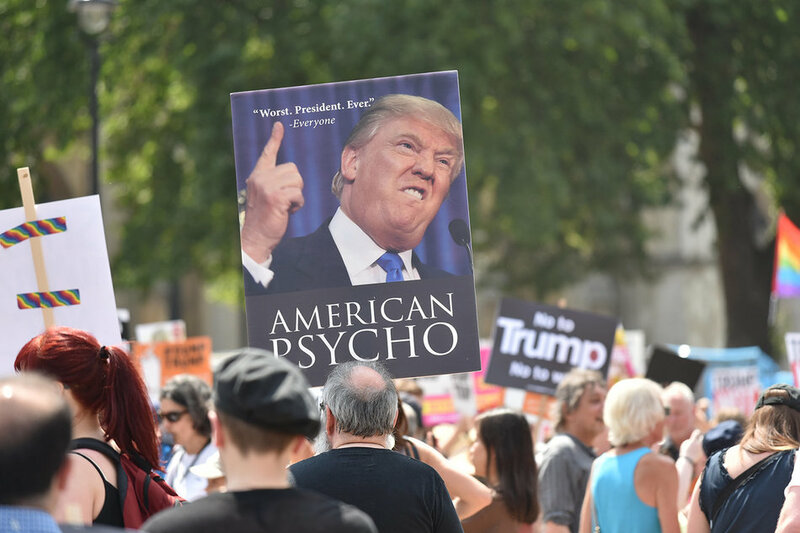 100,000 people marched the streets of the UK on Friday the 13th, with signs that commented on everything from his tiny hands to his anti-immigration laws that resulted in immigrant children ending up in cages. These protests are reaffirming evidence that there are still some sensible people in the world and I am equal parts admiring and envious of those who participated. Trump himself commented on his unwelcomeness on his Twitter, as a world leader does, noting that he was choosing not to spend time in London because of the gigantic blimp of him as a baby that went up in Parliament Square. He also found time to gift The S*n with an interview that he later on called ‘fake news’ in which he criticised the PM’s Brexit negotiations, attacked the Mayor of London and reminisced on the good old days in which Europe wasn’t crawling with immigrants, calling on the need for immediate immigration reform in order to reinstate it to what it once was. "The one definition of multiculturalism which I believe to be the truest - and sadly also the most idealistic - is that of a society which lets people from different cultures thrive on their own whilst simultaneously respecting and supporting one another." The truth is multiculturalism has been attacked, pronounced dead and called a nuisance by politicians from Theodore Roosevelt, who warned of ‘race suicide’ as immigrants trickled into the United States in the early 1900s, to more recent political figures such as Donald Trump who continues to reinforce the idea that the West is endangered by threats that are being imported from elsewhere. Even though there have been negative connotations attached to multiculturalism, in part due to it being described as perilous to Western ideology, the one definition of multiculturalism which I believe to be the truest - and sadly also the most idealistic - is that of a society which lets people from different cultures thrive on their own whilst simultaneously respecting and supporting one another. This is what exists in some parts of Europe, where refugees are allowed in without a headcount and welcomed gladly instead of being left to drown in the middle of the ocean. "You would think that the culture of racism, imperialism and colonialism that European powers have been associated with throughout history is one that world leaders would want to begin to diverge from..."
Donald Trump’s belief that Europe should stay the same should be contested. You would think that the culture of racism, imperialism and colonialism that European powers have been associated with throughout history is one that world leaders would want to begin to diverge from. The ‘fabric of society’ that he speaks of was built at the expense of the cultures, lives and freedoms of others, with some countries still wrongly benefitting from it, for instance; France continuing to collect colonial tax from African countries which have been independent for decades. The President’s disdain of other cultures is reflected not only in his interviews but also in the way he deals with immigration, as he perpetuates a culture of fear and animosity towards anything ‘Un-american'. This is a reflection of his self-importance; he aims to dictate not only his nation's, but an entire continent’s immigration intake. Trump is toxic, continuing to blame crime and terrorism on those who do not share his own erratic political values, refugees who flee crime and war, and victims of circumstances far worse than the ones he was born into, situations far, far worse than he will ever encounter on a golf course. On behalf of sane-minded residents of Europe everywhere; Trump, we reject your input.